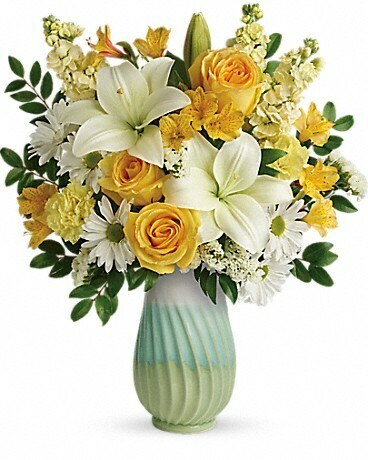 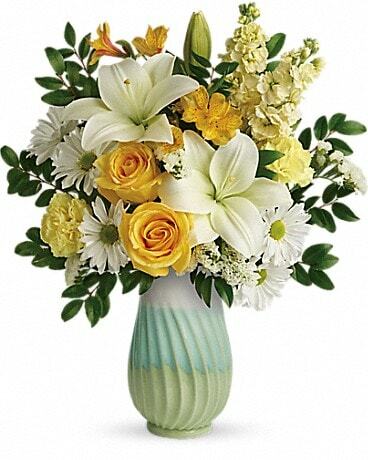 Nothing says spring like this artistic gift, pairing a sunny yellow bouquet with the fresh greens of this hand-glazed, glossy stoneware vase. 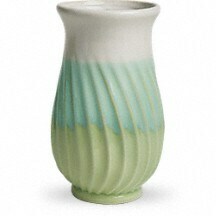 This spring-inspired, hand-glazed stoneware vase is ribbed with a dipped pattern in retro shades of blue, green and creme and is from Teleflora's exclusive Flowers-in-a-Gift collection. 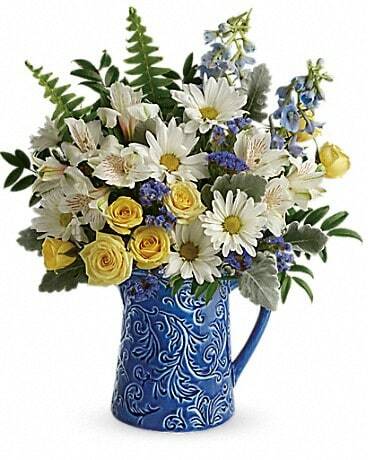 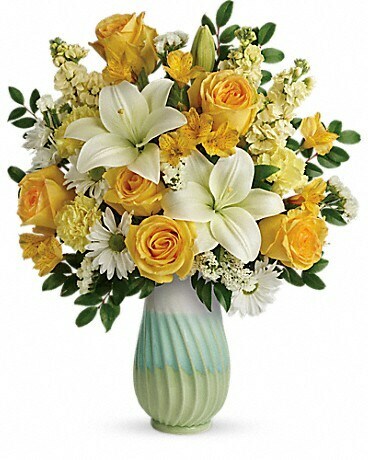 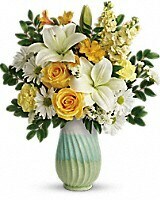 Filled with flowers or used as a décor piece, it will be treasured for years to come.